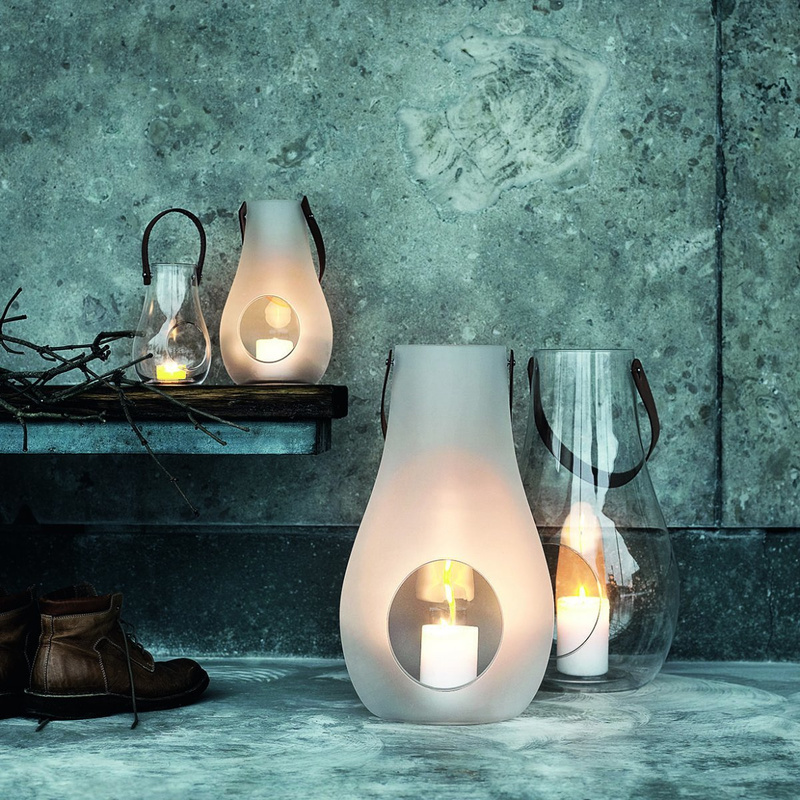 The Design With Light lantern by Holmegaard is an object of refined elegance. Its harmonious and gentle shape gives each room a touch of romance. 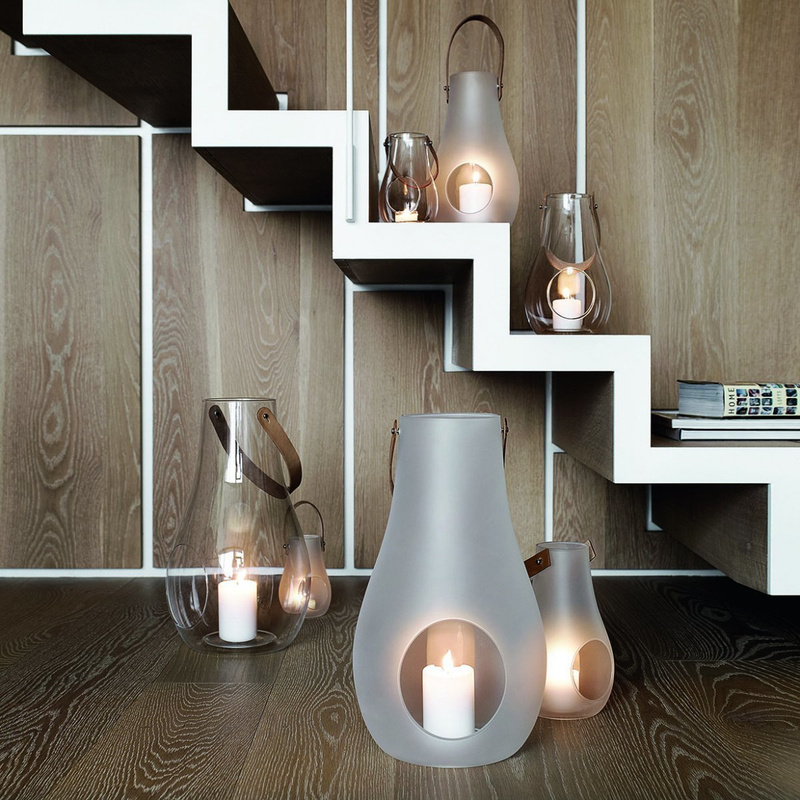 Its simple and yet sophisticated design, makes it essential to create evocative atmospheres. 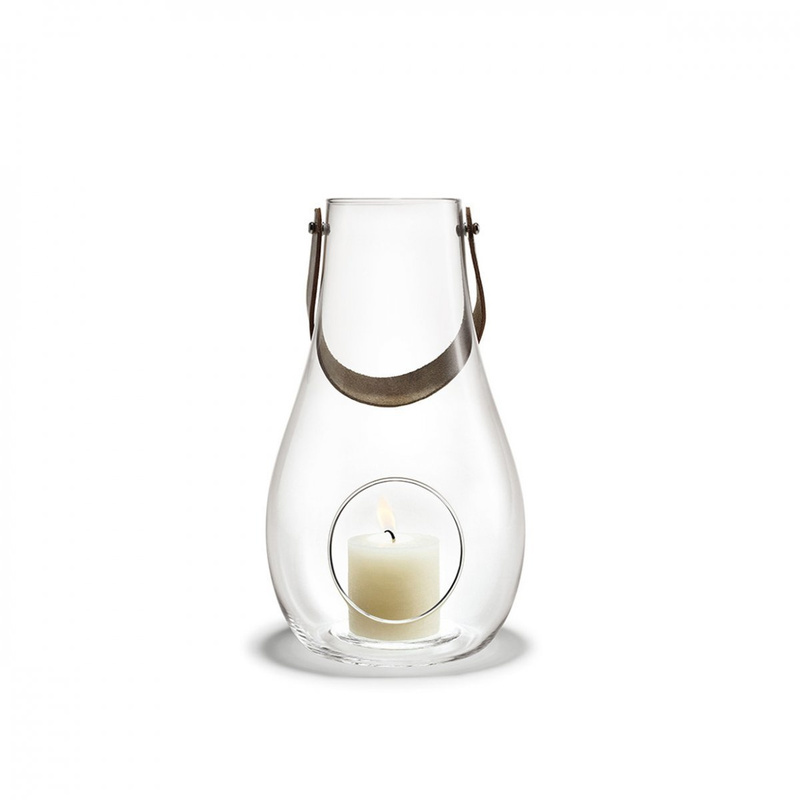 When you light the candle inside it, the blown glass this lantern is made of will glow in a warm and romantic colour, transforming it into an object of the past. The lantern is made of the highest quality materials, its timeless elegance transforms it into a classic with modern shapes, to be placed in any context to furnish with style. This object of great artistic value enriches every corner of the house. Visually striking, it is perfect to be placed on the ground. 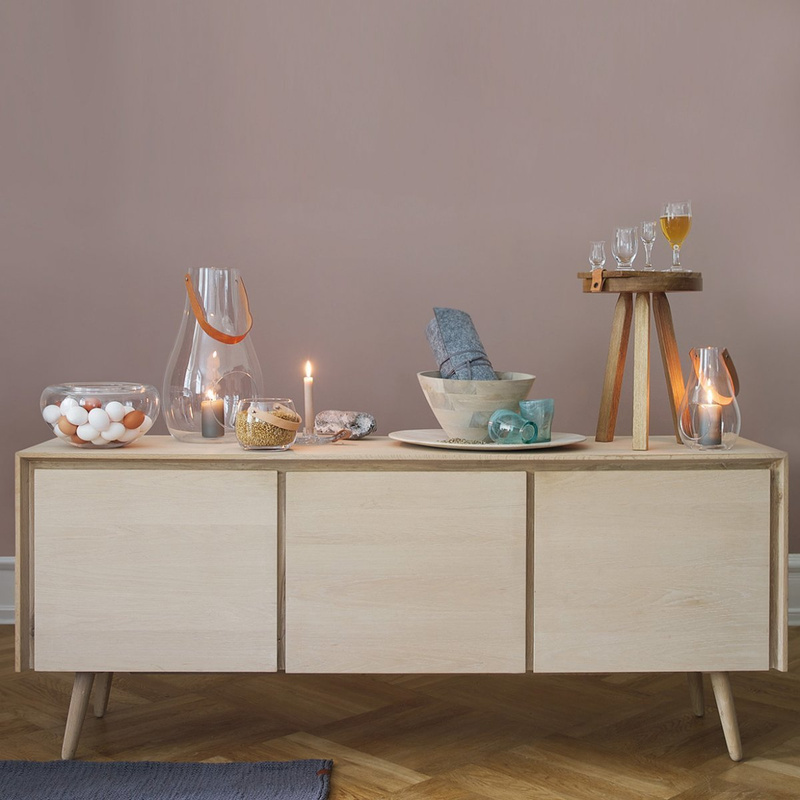 It can be placed on the stairs, on the terrace or on the patio, but also on a table or on a shelf, alone or in combination with other products of the Holmegaard collections. It perfectly integrates into any room of the house, in the living area or in the bedroom, and it is essential to decorate your home in an original way. In the garden or near the pool it is ideal to give a touch of class to summer sitting rooms, prepared to spend the wonderful evenings outdoors in the company of relatives and friends, to create an atmosphere of romantic and original flavor, and you can enjoy moments of pure relaxation. Moreover, precisely because it has a handle, it is very functional and can be moved from one place to another without problems. 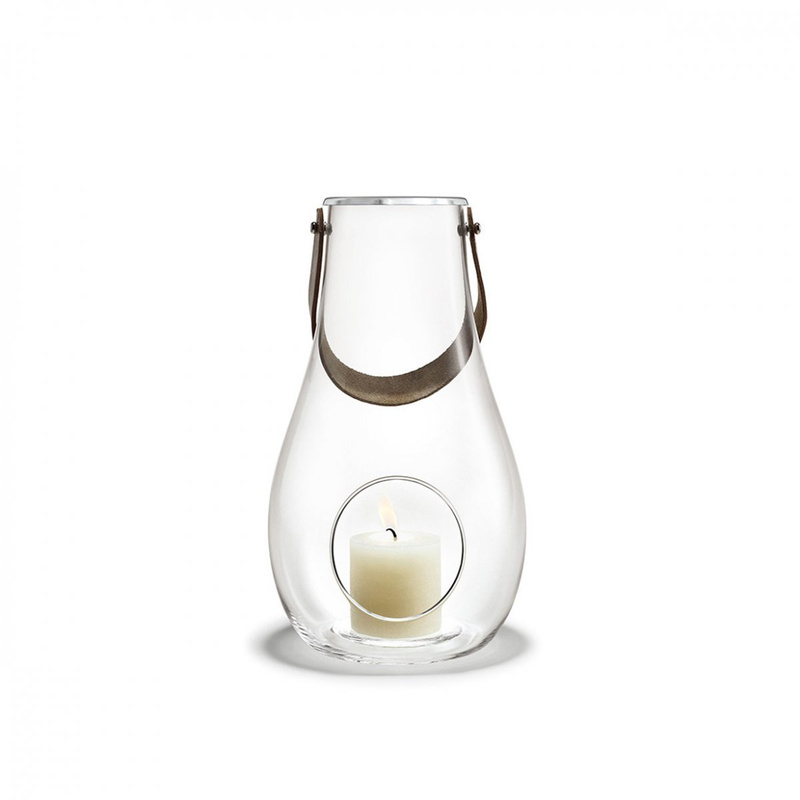 This lantern is a great valuable idea and a useful gift. 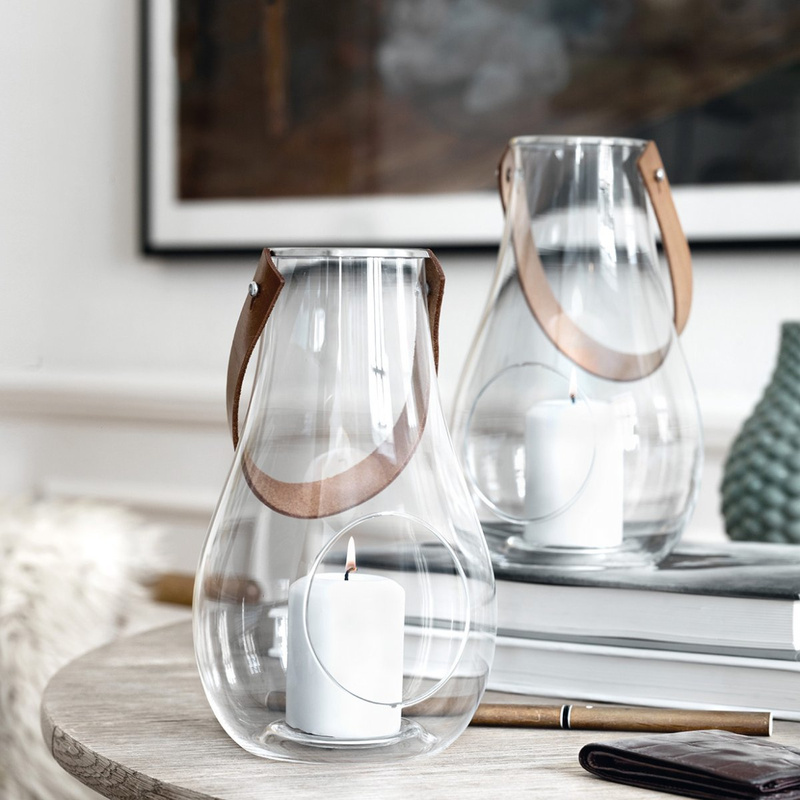 Holmegaard is a Danish company with a long and famous tradition, worldwide known for its beautiful and innovative collection of blown glass objects.